Stay to the left! Stay to the left! No, the other left! I dunno what happened, but somehow I missed the warning to stay to the left in order to avoid this big ditch at the side of the road. 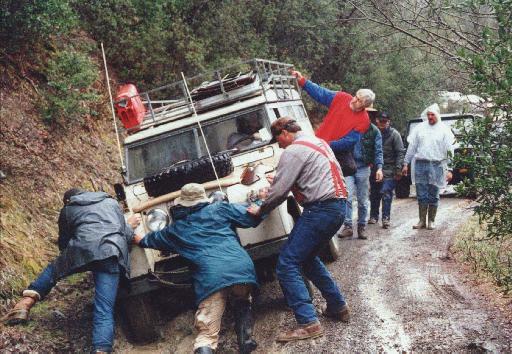 Luckily, I was in a Land Rover, so it was no real problem.